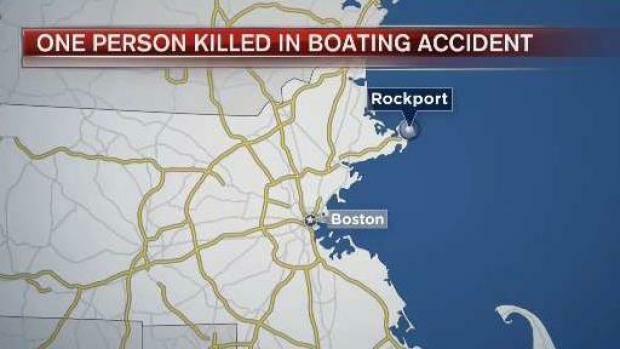 One person has died in a boating accident in Massachusetts, the Rockport Harbormaster said. According to the harbormaster, they responded to a report of an overturned vessel off of Straitsmouth Island just after 1:30 p.m. Sunday. "We did not know how many people were on the boat," Harbormaster Scott Story said. The US Coast Guard says it also responded to the incident with a chopper from Air Station Cape Cod and a 47-foot lifeboat. 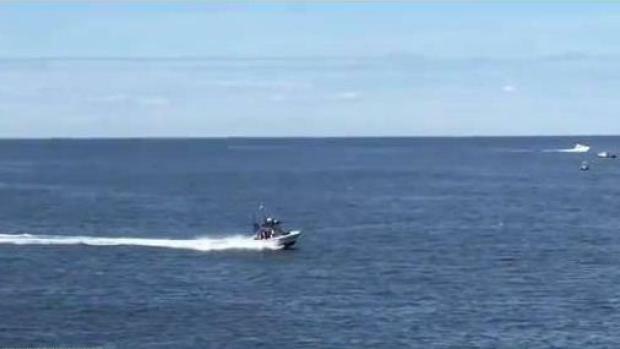 According to the Rockport harbormasters, one person has died and another was taken to the hospital after a boating accident off of Rockport, Massachusetts. Joseph Correia, a Rockport resident, said they heard a helicopter coming from Gloucester. He recorded a video of the rescue on his phone. "We watched them deploy a basket. I mean a basket from the helicopter. They took up one man," he said. The Coast Guard says one man swam to shore, another man, identified Monday as 58-year-old Paul Nadeau of Kingston, New Hampshire, who had to be pulled from the water by harbormaster Rosemary Lesch. "He was unresponsive," she said. Nadeau was taken by ambulance to a hospital, where he was later pronounced dead. Investigators say the two men were in their 50s. They were on a fishing trip. 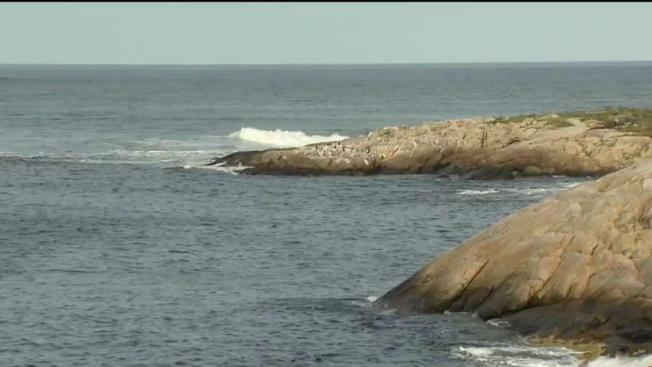 One person has died after a boating accident off the coast of Rockport, Mass., according to the harbormaster. From the coast, the water seemed calm, but waves were actually reaching 10 feet high. "He rounded the corner and one of them rolled him over. Rolled the whole boat over," Story said. Lesch warned to be aware of the sea conditions this time of year. "It's October almost and you get out there and storm swells are washing in and it's time to put your boat away," she said. The second victim was transported to an area hospital, the harbormaster said.